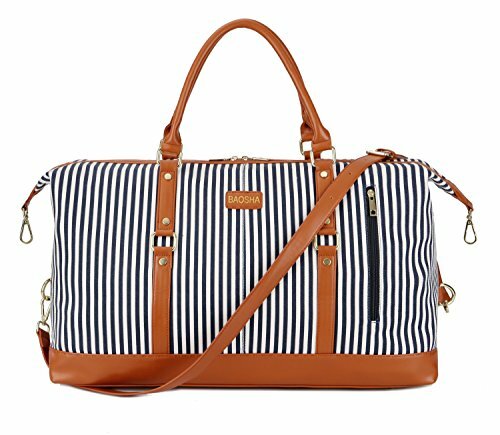 Material: High quality canvas bag + Ajustable Shoulder strap + Smooth Zipper. Oversized Size: 54cm*33cm*24cm(L*H*D)/21.3''*13''*9.4''(L*H*D). 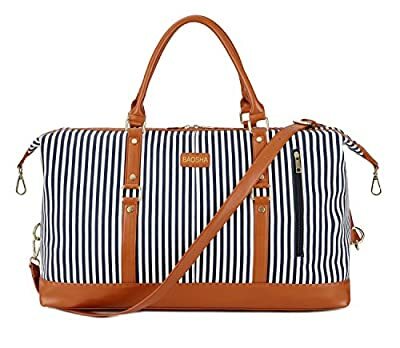 It is larger than a normal bag, perfect for a weekend bag or 4~5 days One person trip Can serve as a carry-on item for most airlines A carry on bag for flying that doubles as a gym, overnighter or weekender bag LIFETIME WARRANTY: We stand behind our products and offer a 100% Lifetime Money Back Satisfaction Guarantee.